Brick and mortar businesses have the advantage of actual face-to-face contact with customers. An online business needs to find a way to replicate the personal connection that people enjoy. In marketing terms this is called “engagement,” and it’s critical to the success of any online business. Enable comments on your blog posts and you invite a conversation with your audience. It’s a simple thing, and it allows you to build a deeper connection with customers and prospects. You probably know that your “brand” isn’t as much about anything you can control as it is about what people say about you out there in the real world. When people are looking to buy a product, or engage someone to provide them with a service, your “story” may influence more than any list of features or benefits. With that said, your blog allows you many opportunities to connect with what people are saying about your brand and to promote the elements of your brand that you consider to be essential for growth. In other words, your blog helps you stay in control of the story. Establishing trust and credibility is one of the critical steps toward gaining a new customer. And it’s one of the ways a blog can help even the smallest business succeed. Be sure your blog reflects your sincere commitment to customer satisfaction. Share anecdotes. Be real. Most of all, provide value. Think of every blog post as a way to share insight into your core values. Let customers know that you appreciate them. Your website should be the hub of your marketing effort, so it makes sense that you need to do everything you can to get prospects to your site. Even the greatest website design and content does you no good if the right people aren’t making it to your site. Who are the “right people?” They’re people looking for products or services like those you offer. And one of the best ways to make sure they find you is something called SEO, or Search Engine Optimization. A robust business blog enhances your SEO. Google and other search engines will rank your site more highly when you are regularly publishing quality content relevant to the keywords relevant to what you offer. Your website may be “optimized” for SEO, but if you’re not posting to your business blog regularly, all that effort is for naught. Write, publish, and promote and you’ll bring more qualified leads to your website. Regularly posting to your blog will establish an audience and can be helpful when you need to do a quick communication. Perhaps you’re releasing a new product, or have discovered a problem with a product. Maybe your service will be unavailable for some reason. Your blog can be a major channel for such communications and may reach people who don’t read their email or social media posts. One of the least understood but greatest values of your blog is the ability to gain a greater understanding of your customers. You can do this in two ways, in addition to the comments discussed earlier. One is to check out your site analytics. By drilling down into your analytics, you can see which of your blog posts have generated the most readership. And you can ask for feedback. You can solicit comments or ask your audience to send an email or fill in a form. I’m sure you can see the value of using your blog to develop an engaged, responsive audience. Your business blog is a great way to let customers and prospects know they’re dealing with a real person. And that’s important because people want to connect. Keep your blog posts professional, but informal. Think of what you’d rather read — would it be a lively, clear description or something mired in legalese? Even if your business or product is highly technical, you can make it more user-friendly with conversational blog posts. Paying it forward is an old concept. You probably know that when you serve others rather than yourself, you’re also likely to benefit. 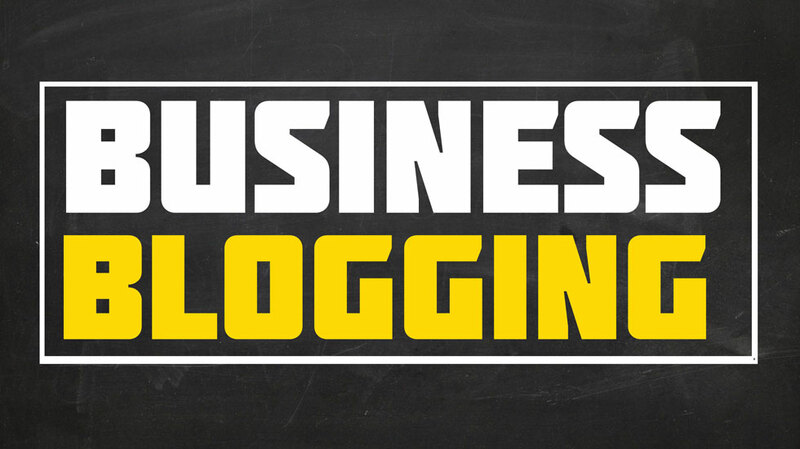 This concept has practical application in the world of business blogging. By offering your web audience truly valuable information, you also establish yourself as an authority on the topic at hand. And this has the effect of building your influence within your circles. As you develop your business blog, look for ways to educate, inform, or entertain your readers. It’s even better when you can do all three at the same time. Discounts and promotion may be one of the ways you entice new or repeat customers to make a purchase or renew service contracts. You don’t want to load up your blog with promotional content, but it does provide a channel to reach people. By building an engaged group of readers, you have a built-in audience when you want to test or launch a promotion. One of the prime advantages of maintaining an active business blog is networking. Your blog will allow you to create relationships with others in your industry or community of interest. And these relationships can help you promote your blog posts. Your business blog widens your circle. Who knows where those connections might lead? A blog is just about the best way to build your online presence and sphere of influence. It’s not a path to overnight success, but if you have a customer-centered strategy and offer quality articles on a consistent basis, your business blog can help you achieve your goals. This article is presented by Wes McDowell, he is the head of strategy at The Deep End Web Consulting. He works with business owners around the world to help them be found and succeed online. In addition, Wes enjoys reading, writing and podcasting about all aspects of internet marketing. What are the Breakthrough Resources for Content Creation? Why to Make Money from Blogging at Home?